So will they still vote for this guy again? 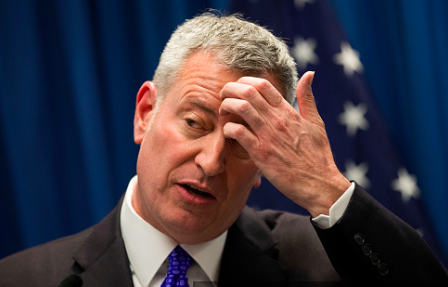 A past campaign donor to New York City Mayor Bill de Blasio (D.) testified Thursday that he and his businessmen friends were major players in political corruption. Jona Rechnitz testified he and his partners paid off the Mayor’s Office and New York City Police Department using pay-to-play tactics, the New York Post reported. Rechnitz and Borough Park businessman Jeremy Reichberg initially targeted the NYPD in their pay-to-play scheme, doling out gifts and cash to cops in return for favors, but soon turned their attention to City Hall. “We had the police going for us–now it was time to get into politics,” Rechnitz said. Rechnitz said he told a de Blasio’s fundraiser, Ross Offinger, that “we’re going to become significant contributors, but we want access,” after de Blasio clinched the Democratic nomination for mayor in 2013.